If there’s one good thing about summer slowly coming to a close, it’s that there is a serious amount of tomatoes to be consumed all the time! Summertime tomatoes taste like little bites of heaven, and I love stocking up on them during peak season and turning them into something I can enjoy later in the year. 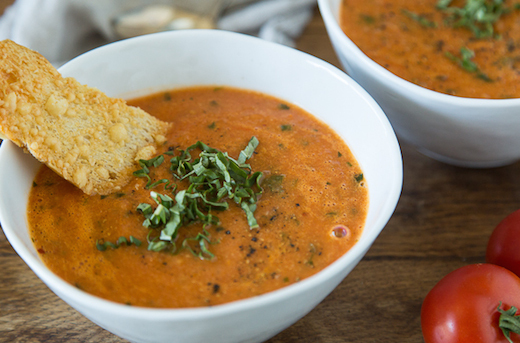 This Roasted Tomato Basil Soup is exactly that. 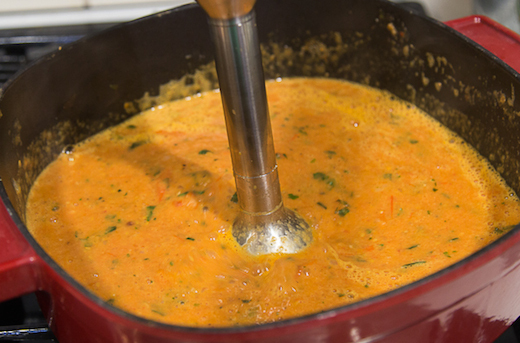 I’ve taken the best tomatoes from my local market, roasted them until they are sweet and perfect, and then made them into the ultimate Roasted Tomato Basil Soup that I can promise you’ll love! 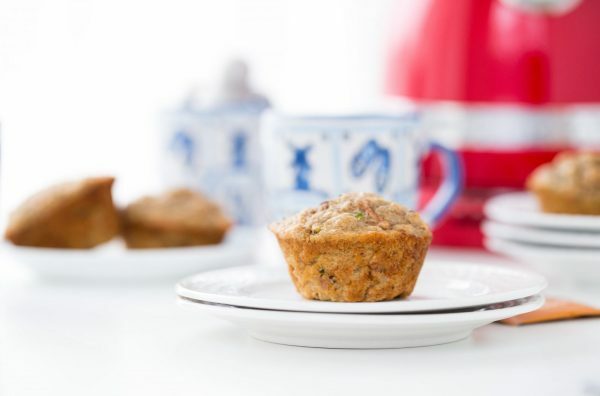 It’s perfect for anytime of the year – and if you make this now, and freeze it for later, you’ll get a nice little taste of summer when it’s time to enjoy. 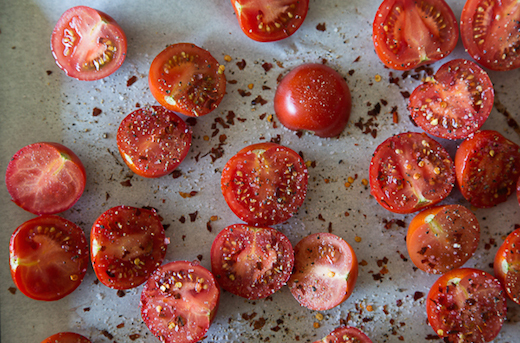 First up, let’s season the tomatoes with salt, pepper and red pepper flakes. Throw some garlic onto the baking sheet as well and give it a drizzle of olive oil and a sprinkle of salt and pepper. Roast the tomatoes and garlic for about 35-40 minutes until they are soft and falling apart. 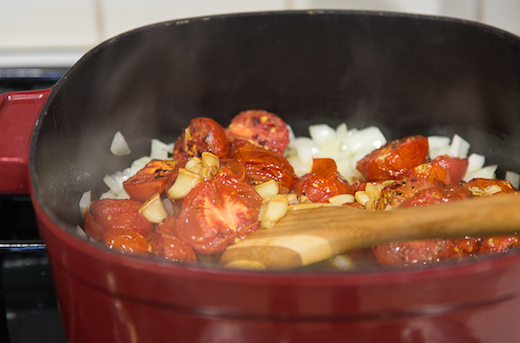 In a large pot, sauté some onions, the roasted tomatoes, and garlic for a few minutes until the onions are soft. Add the remaining ingredients into the pot and let it simmer for about 15 minutes so the flavors really have a chance to come together. Once simmered, let the mixture cool for about 15 minutes. 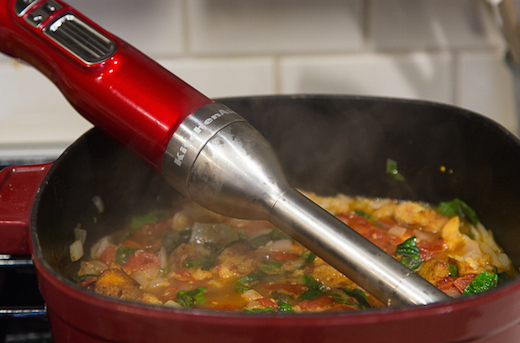 Use your KitchenAid® Pro Line® Series 5-Speed Cordless Hand Blender and blend everything together until it’s almost perfectly smooth with a few pieces of basil still intact. Taste and adjust salt and pepper. 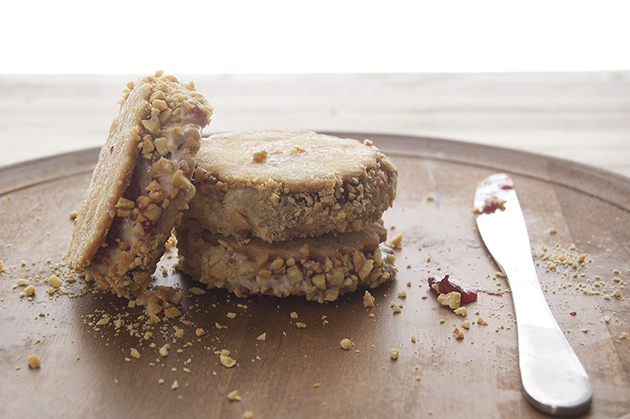 Serve it up or freeze it for later! 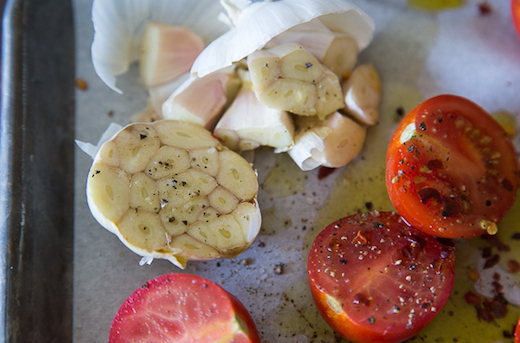 Place the tomatoes and halved garlic on a parchment lined baking sheet and drizzle with 2 tablespoons of olive oil. Transfer the baking sheet into the oven and roast for 35-40 minutes. Once roasted, remove the baking sheet from the oven and set aside. 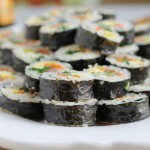 Carefully remove the garlic from its paper and discard the paper. In a large pot, heat the remaining olive oil over medium heat. Add the chopped onion and sauté for 2-3 minutes. 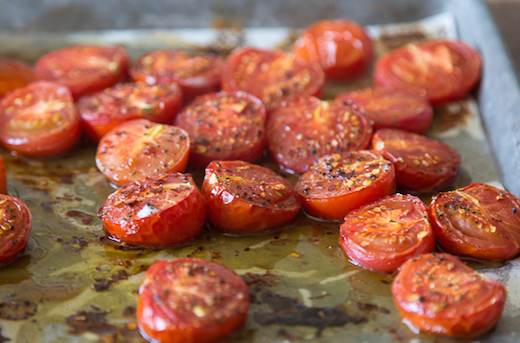 Add the roasted tomatoes and garlic along with all of the juice and seasoning on the baking sheet and stir to combine. Sauté for 3-4 minutes more, until the onions are soft. Add the basil, stock and croutons and simmer, without a lid, for 20 minutes. Once simmered, let the mixture cool slightly. 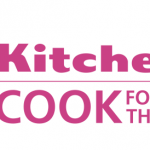 Use your KitchenAid® Pro Line® Series 5-Speed Cordless Hand Blender and blend everything together until pureed. (Note – a few basil leaves can remain intact). Taste and adjust seasoning as needed.